Fundraiser by Denny Hunt : Why Is This True? Currently my website and YouTube channel are ad-free and completely funded by Donations. If you enjoy the interviews and information provided and would like to support me, please consider donating here so I can continue this work. I started the YouTube Channel “Why Is This True?” in earnest on May 6, 2016 and its initial inception was on my birthday March 9 of the same year. 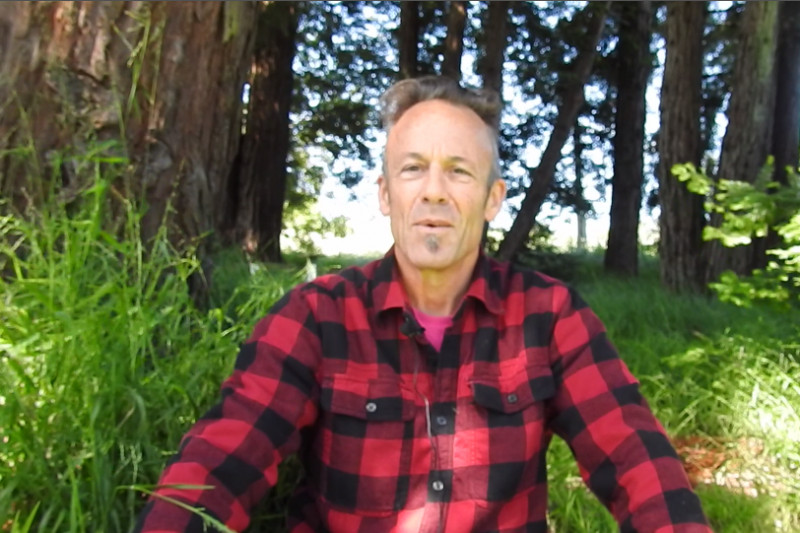 Since then I have posted over 200 interview videos with a focus on subjects not normally discussed within most families, friends and/or workplaces; more specifically the subjects of, and related to, extraterrestrials, abductions, the MAP or Mercenary Army Program or Secret Space Program and the idea of the great shift or planetary ascension. This has been a full time endeavor since April of 2016. Later the website was established with the help of my supporter and good friend Anthony. 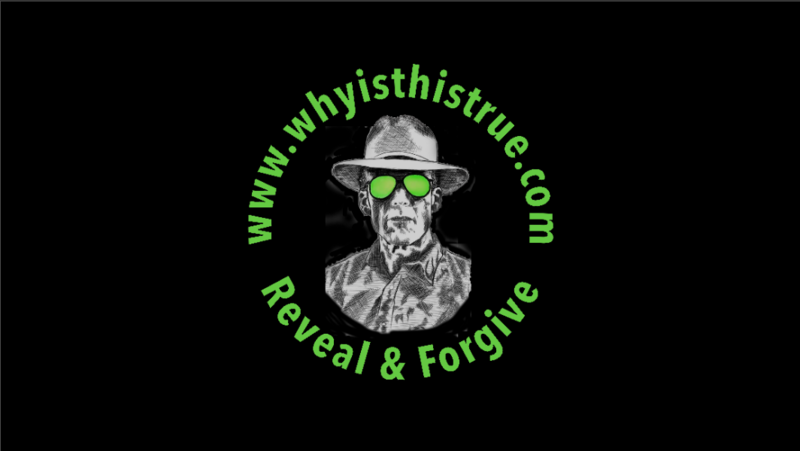 www.whyisthistrue.com Here is where you can download the MP3 audio files, get access to the periodic articles on the member’s page and get updates about the latest interviews and projects. Formerly I was very much a part of what might be called the Full Disclosure movement, thinking - like many - that we would usher in a new era with the 100% release of undisclosed information about ET contact, release of secret technologies such as ‘free energy' devices and a general transformation of human consciousness by the means of mass meditations and similar consciousness raising practices. I could make a pretty compelling case for such a worldview given my time in the rabbit hole since 1996 and a tremendous amount of research conducted since that time of initial awakening. It wasn’t until I met the now infamous Karl Mollison that I slowly started to reconsider this worldview. But it did take some time for me to come around to what was being brought forth from those initial channeling sessions that started with Dwight D. Eisenhower on the 15th of February 2017. This differing worldview might be summed up by saying that Full Disclosure is very likely the plan in place thanks to a Dark Alien Alliance to lull us humans towards our collective demise. This is NOT a popular worldview! Given the consistency and intelligence proffered up from Light Beings in the channeling sessions I decided it was time to see if this theory could stand up to some further investigation. So I decided to read what some of the earlier researchers about the ET phenomena found. Some of these whistleblowers and writers gave up their lives in the process of warning humanity about the very thing I was discovering via my new relationship with Karl. These authors and researchers included Jacques Vallee, Barbara Bartholic, Eve Lorgen, Dr. Karla Turner, Dr. David Jacobs, James Bartley, William Cooper, Len Kasten and Phil Schneider. The accounts and conclusion seemed to bolster the claims about this Dark Alien Alliance and their interaction with humans over the last 26 thousand years or so and especially as it relates to what has gone on since World War II. Karl was very patient with me. It took months for me to realize that the Full Disclosure meme was likely very similar to so many other narratives where the bulk of the information was pretty accurate, but peppered into that same narrative are the portions which serve the Alien Agenda; such as some contingent of positive ET’s working behind the scenes and directly with some humans for the benefit of humanity. As I started to support this idea many of my friends and supporters drifted away and were replaced by new friends and supporters who were coming away with conclusions similar to mine; namely us humans are in a rough spot and we need to grow up and take a sober look at what we were being told by the armchair ascensionists and their alleged ET friends. Fortunately there is an answer to the situation and one that has been with mankind since his creation. This brings me to a write up provided by a man who has been studying channeled material almost as long as I have been alive. So we will close with that and a big thank you to all of you who have donated and sent prayers my way! Victory to the Divine Human! Denny and Karl-absolutely Planet-changing work! "After watching all 26 sessions more than once, I can say that I understand why the Light Beings say that all of the ET”s that come into the physical plane do not have our best interests at heart. The reason for this Divine Physical Human project is so that we can learn through free will the consequences of our choices no matter what. There were very high vibration beings who were given free will, and they decided to use this power for their own selfish benefit. This group was probably led by the one known in ancient texts as Lucifer. This being took a large group of light beings with him and began using his power to corrupt other Light Beings, and draw power from them. The longer this went on, the further this group got from a direct connection with Divine Creator. This consequently required more and more “sucking” of Divine Light from other beings to sustain themselves. This occurred throughout many star systems, so now there were many ET Light Beings cut off from Creator needing to get energy from other Light Beings who were not yet cut off from Creator. This has been going on for hundreds of thousands of years, so it would seem that this was just how things have always been. Meanwhile, this Divine Physical Human free will project is still going on. It becomes evident that until we humans, who have always been eternal light beings, catch on and reverse this process by reconnecting with our true source of power, Divine Creator, this condition will persist. It is up to us to reconnect with Divine Creator, ask for assistance, and raise all up into the Light. Fighting the dark forces with weapons and hate will just prolong the project. Once we Humans learn that choosing the Light no matter what is the solution, this condition will persist. It has been emphasized by this channeling that the fastest way to correct the situation is to ask Creator to lift ALL into the Light, not just the “good guys”. If the perpetrators are healed, we will all be healed. This includes the originators of the problem (Lucifer and his group) and all of the beings that have been misled and harmed by these dark spirit’s actions. ET’s who are in alignment with the Light and want this project to succeed will not intervene on our behalf, because we need to win it ourselves by reconnecting to Creator and allowing Love to heal ALL. Any ET’s who are intervening in our affairs have a dark agenda because it is known in the higher realms what this project is about. We can receive some help through clairvoyance, dreams, crop circles, synchronicity, and some channeling (with Creator’s protection), but the beings on a higher vibratory rate will not lower their frequency to our level because it would be very dangerous for them, and they would be interfering with Creators plan. Creator will not use force or weapons to help us out. This is not consistent with Love. Therefore the Alliance of military and various “positive ET’s” is a very clever ruse perpetrated by the very beings that we are trying to fight. I don’t think that this story all over the internet is consciously being perpetrated, but it is being manipulated with heavy mind control so that these well-intentioned “Light Workers” will be serving the very agenda that they are trying to counteract. I know, because I have been involved with this agenda for many years. It is becoming more and more clear that the only way that this project can have a positive outcome is to let go of our own agendas and ask that Creator’s agenda work through us. I have been aware of ET’s for over 50 years, and always assumed that if they were that evolved, they couldn’t possibly be negative. The story about the High Being’s (Lucifer) fall from the Divine Realms has been in all of the ancient texts for thousands of years, but I just chalked that up to organized religion’s way of intimidating us and trying to control our thought. The other thing that has come out of these channelings is that there are basically 3 sentient ET groups, and one artificially created bunch who are trying to eventually get rid of Humans on Earth. The Anunaki, Reptillians, Arcturians (Nordics), and the “greys” (created by the Arcturians for much of their abduction work). They all have an “alliance” because they all want the Divine Human Project to fail. Apparently, this agenda has worked before, and they are desperately trying to accomplish this again. We are all eternal Light Beings (including Lucifer and his group of dark spirits, as well as all of the ET’s). The “greys” don’t have souls, so are in a more finite existence, but they are desperately abducting us and trying all kinds of experiments, trying to somehow get a soul. It is ironic that they are trying to duplicate our Divine Essence so that they will also be eternal. All 4 groups serve certain diabolical functions to accomplish their goal of eradication of Human. The Reptillians are particularly brutal and war-like, so do much of the dirty work, as well as abducting humans to use as play-things, food, and slaves. They are also very adept at uploading DNA into themselves, and duplicating anyone they feel needs replacement so that they can have direct control of human affairs. The Arcturians (Nordics) look beautiful to us and look much like our Nordic races, so can gain our confidence to accomplish their goals. The Annunaki were the first ET interlopers on the scene several hundred thousand years ago, and hope to take the whole operation over once the ET alliance has cleared Earth of humans. They remain largely in the background and let the other ET interlopers do their work. As you can see, Creator has it’s hands full to counteract all of this subterfuge. We in no way could counteract these very powerful groups of beings, so trying to fight them with technology (even advanced technology gotten from them) is not even in the realm of possibility. The only solution is to reconnect with Creator and finally choose the path of light, and let Creator raise us all up to a higher vibration. According to these channelings, this would be the first time in the whole Universe (whatever that means) that there would be a Divine Physical Human living on a physical Earth but without the duality of “Good and Evil”. Then we will all have free will to create new universes through us and expand Creator’s creativity with our hard won learning and new creativity. It is truly a glorious future if we can keep our eyes on the goal of choosing Love while remaining connected to Creator. Again, I can’t thank you two enough for the work you are doing. Love to you both, Denny and Karl, Ray"
We can do this together. All I need is your support and financial assistance if you are so called. Many Blessings and Victory to the Divine Human! In a few days I will be leaving for Tucson, Arizona for what is called a Healing Intensive which is one step on the path to obtaining the Holographic Memory Resolution® certification. 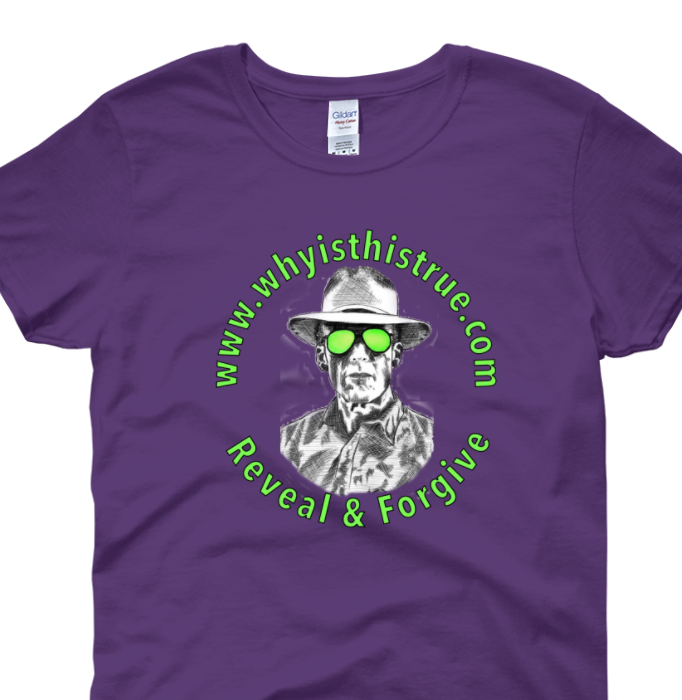 I have not been able to keep up on the interview scheduling duties for Why Is This True or do any needed work on the Why Is This True website because of the HMR studies, the research and reading and the work that is needed for the Get-Wisdom project. There is a nice list for interview subjects, but time is needed to get that organized and scheduled and it is in short supply now. It is actually a happy circumstance, because it is only a casualty due to what I think is a good set of priorities pushing me forward. Tops on that list is the healing work; from the morning LHP (Lightworker Healing Protocol*) sessions to the continued healing education that is desperately needed not only for my work, but for everyone involved and in support the mission along the way. Not to mention the Get-Wisdom project which is going into a new phase were we have hired a company to revamp the Get-Wisdom website and create and implement a SEO program. I am also starting work on a ‘brand’ YouTube channel for Get-Wisdom LLC. As of November 24, 2018 I have done 300 Lightworker Healing Protocol sessions with almost 2,000 subjects including people, spirit rescues, animals and locations. Some of these have been paid sessions which has been a Godsend. We have about 70 LHP students now from all over the US and Canada and extending from Vietnam and New Zealand to the Netherlands and India. Soon there will be dedicated healers all over the world doing the Lightworker Healing Protocol. In our household, our income is from some real estate work that Jenn does, some rental income and your generous donations. We are in the middle of a difficult period now because the room we rent out as a vacation rental is vacant with no reservations for the next 2 months. I have decided to wait and see whether the 2nd seminar in Tucson in January about Mind Control Programming Seminar given by Steve Oglevie is feasible. Right now it is not feasible and that is OK. I am double checking with someone who I trust about whether attending this seminar a good idea for me right now. We are tightening our belts and getting ready for a tough winter. If you can help this work and the full-time commitment I am making by donating to the cause it will be appreciated. Alternatively you can also support the work by getting a LHP session for yourself or a loved one. Negotiating on price is OK by me. I love doing the Lightworker Healing Protocol sessions and thank you so much for the support I have received from all of you including the good wishes and kind thoughts. Victory to the Divine Human! Update Late! Thanks for the Wait! Support WITT! Not sure where to start, but I can tell you that the action has not subsided since my last update. We are going into our 3rd month at Get-Wisdom with some website revisions, a marketing plan established and being implemented and a Facebook ad campaign in the works. We have added Patty to our group who runs a business helping people like us grow and get the word out; literally a Godsend. We have well over 30 Lightworker Healing Protocol online courses sold to date and you can now find students and some practitioners already from New Zealand and Australia all the way to British Isles and the Netherlands. The interviews continue to be fascinating and educational. 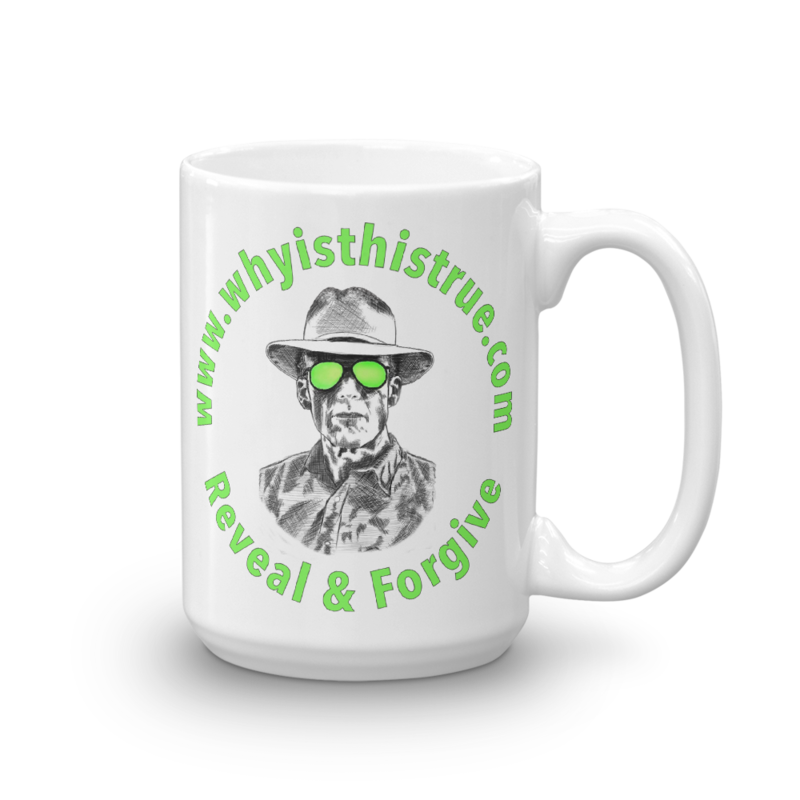 I’ve added Higher Self Channeling interviews and interviews with Astrologers, Entheogen experts, healers, Church and State whistleblowers, authors and MAP (Mercenary Army Program aka Secret Space Program) and ET abductees. 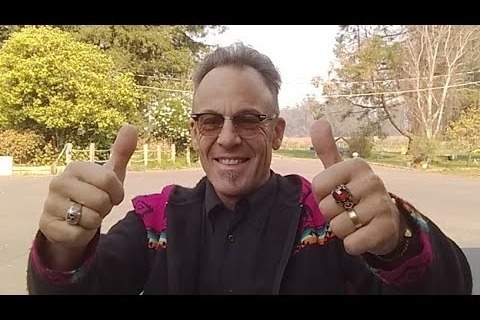 I am one of 33 graduates from perhaps the last ‘in person’ Lightworker Healing Protocol classes that was held by Karl Mollison in February 2018 in Petaluma CA and since learning how to do the Protocol I have now done 140 sessions from spirit rescues of those who perished in the sinking of a ship to Nazi German figureheads and people clearing sessions from MAP abductees to anxious home sellers. Since my last update this has probably been the most rewarding and promising thing I have learned to do. I am enjoying it beyond words and pleasantly astonished at the feedback I’ve received so far for doing this work. Only a handful of these LHP sessions are ones where I am hired so please spread the word if this is the way you would like to support my work. Being able to help people in this way has captured my heart and so I am continuing my education and expertise by signing up for a workshop to learn "Holographic Memory Resolution®." in September in Tucson, AZ. This is a therapy that can be used in conjunction with the Lightworker Healing Protocol and is especially useful and effective for trauma victims. This is where I live given my overriding interest in MAP abductees and others who have been harmed by the various trauma based mind control programs that have proliferated in the US and all over the world since Project Paperclip and the buildup of the MAP contingent. As mentioned before, the income being generated at Get-Wisdom is being reinvested back into the project to pay for website upgrades, advertising and other business expenses. The partners, Brian, Karl and I are not drawing any income. 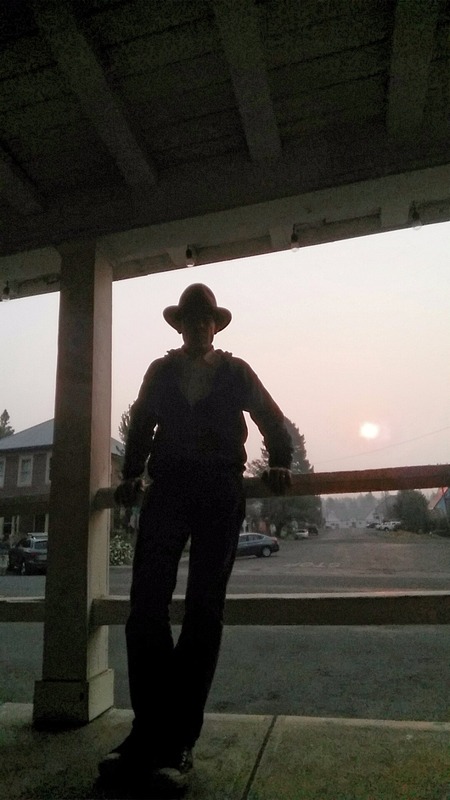 At home, we are blessed with some sporadic income from Jenn’s work and a little rental income, but otherwise I rely on your generosity to keep the bills paid and the home fires burning. The need is great so please support WITT. Bless you one and all for all your support and prayers - it is making a difference. Victory to the Divine Human! There is a new angle being presented from these sessions around the disclosure subject that is not on the radar screen for many, so we are getting the predicted push-back. With that, we are forging ahead with more channeling subjects that will take us right into March of 2018. We are up to about 2,800 subscribers and I continue to be amazed with Creator’s recommendations for interview subjects, notably two fellows; one from Australia and one currently from China. Their perspectives are unique, differ from previous subjects and perhaps in some respects, present information that differs from what has been uncovered so far in the long and winding WITT road. Time to ponder and think. 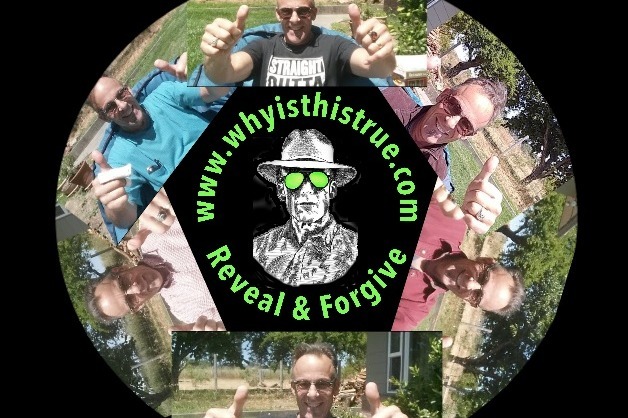 If you visit the member’s page at http://www.whyisthistrue.com/register/ you can see the follow up notes that I post after almost every WITT Live Stream on Sunday’s at noon. We also have guest articles there periodically. On the subject of needed donations, we just lost one of our tenants and our property taxes are coming due soon so if you can see your way clear to help us out we are finding ourselves in need once again. Also - yours truly - has his resume out for work since we aren’t quite up to what is needed to keep things going. Most notable of all is the tremendous and heartfelt support that I am receiving in this work. I have to include the two prayers that we are promoting now: the Love Prayer - Source Creator, be my partner in life each and every day, to keep me focused on love, receiving and giving, both to myself and to all those around me. And the Protection Prayer - Source Creator, partner with me in my life each and every day to keep me safe, to guide, heal, support, and protect against all who oppose bringing forward the truth of the divine. The prayers work and the donations are so timely and appreciated. Victory to the Light!